Try our genuine Meteorite Spheres and Eggs Satisfaction Guarantee - compare our prices and our superior quality. Click on any meteorite sphere or egg image below to enlarge it. This rare sphere was sawn and finished from a genuine muonionalusta meteorite that was discovered in Sweden. 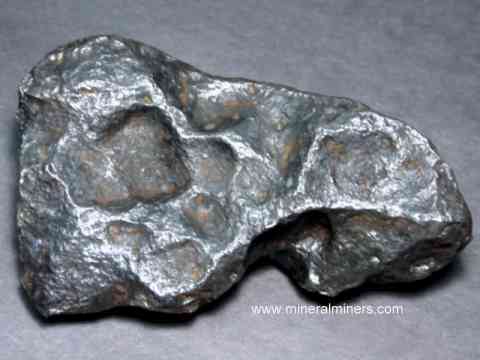 The muonionalusta meteorite is classified as a fine iron octahedrite type IVA. This type of meteorite displays a beautiful pattern known as a Widmanstatten pattern when its surface is etched (as shown). See also another view of this genuine muonionalusta meteorite sphere. This rare size meteorite sphere weighs almost one pound! It was sawn and finished from a genuine muonionalusta meteorite that was discovered in Sweden. 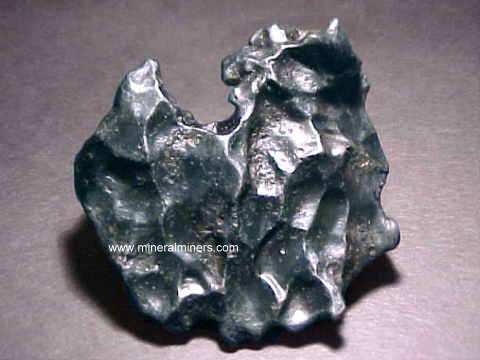 The muonionalusta meteorite is classified as a fine iron octahedrite type IVA. This type of meteorite displays a beautiful pattern known as a Widmanstatten pattern when its surface is etched (as shown). See also another view of this genuine muonionalusta meteorite sphere. This rare sphere was sawn and polished from a genuine stoney meteorite (chondrite meteorite NWA 869) that was discovered in Algeria, North Africa. We have genuine iron nickel meteorite spheres & eggs that were handcrafted and etched from Gibeon Meteorites and also Muonionalusta Meteorite Spheres. See also our page displaying genuine meteorite jewelry! Iron-nickel meteorites are thought to have formed from molten planetary core material which cooled very slowly out in space. 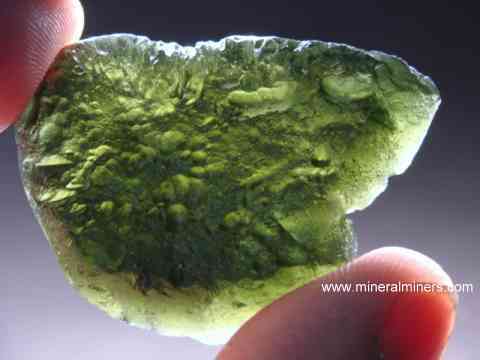 The transparent green natural Moldavite is a natural silicate glass tektite. Moldavite and other tektites are thought to have formed from the extreme heat and pressure produced during a meteorite impact on the surface of the earth. During some meteorite impacts, it is believed that both the surface of the earth and the meteorite itself melt together and are thrown or splashed into the air by the force of the meteorite impact's explosion, fusing into natural glass tektites which cooled quickly while flying up into the air and then falling back down to the earth. 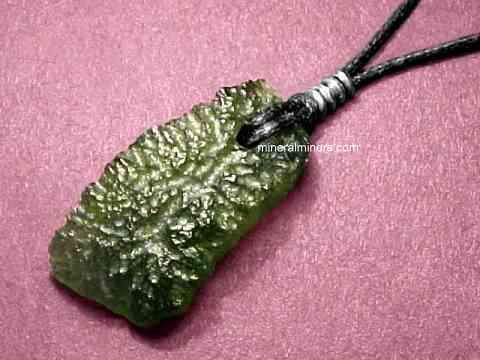 See our page displaying genuine moldavite jewelry, with all natural moldavite jewelry designs including beautiful moldavite necklaces and genuine moldavite rings. 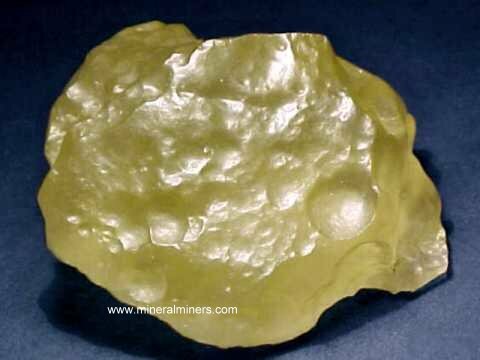 See also our genuine Tektites including the natural Libyan Desert Glass Tektites, and our page displaying Genuine Moldavite. 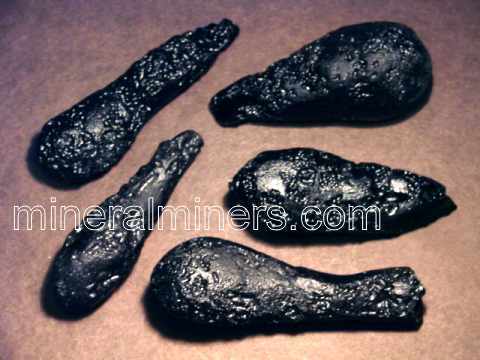 We also have genuine Tektite Jewelry available in rings, pendants and necklaces. To see more meteorite photos, just select another item category from the table below. We have a variety of shpaes and sizes available in natural meteorites from several locations worldwide, and we also have genuine meteorite spheres! 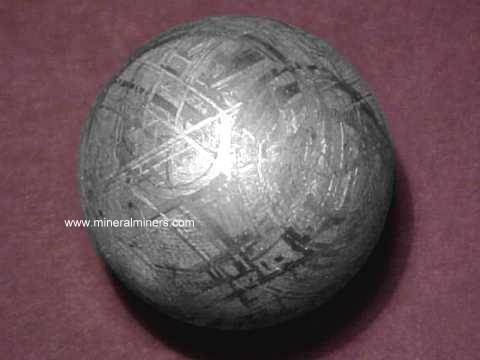 Would you like us to inform you when we add more genuine meteorite spheres on this page?